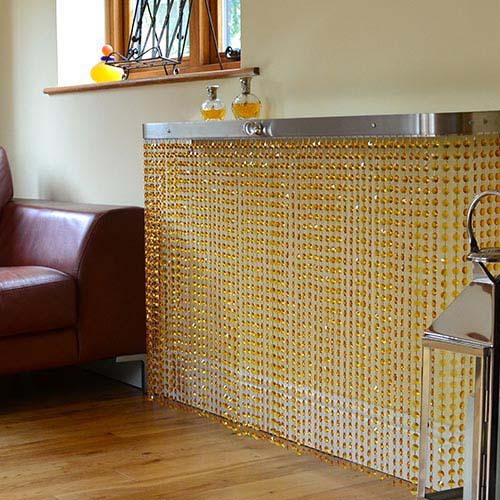 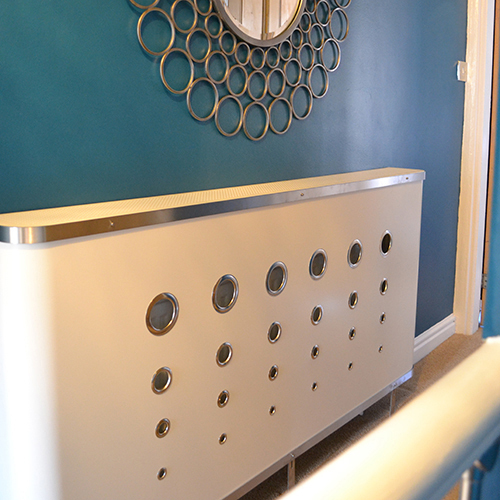 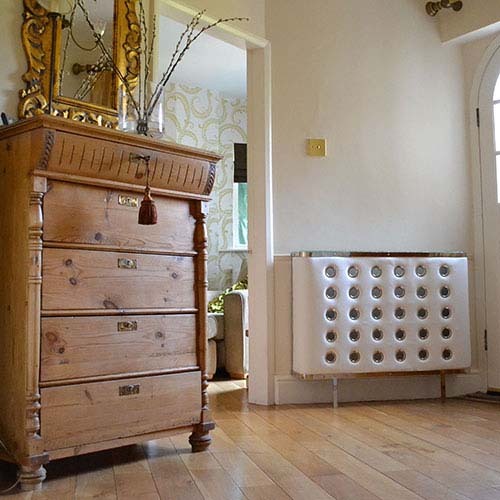 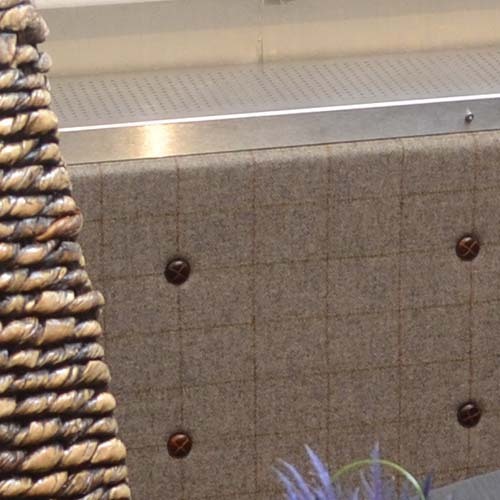 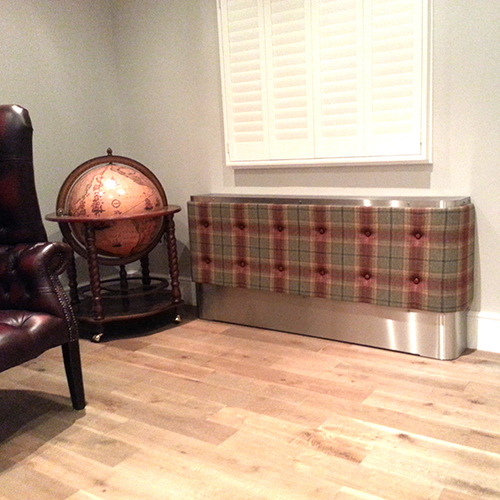 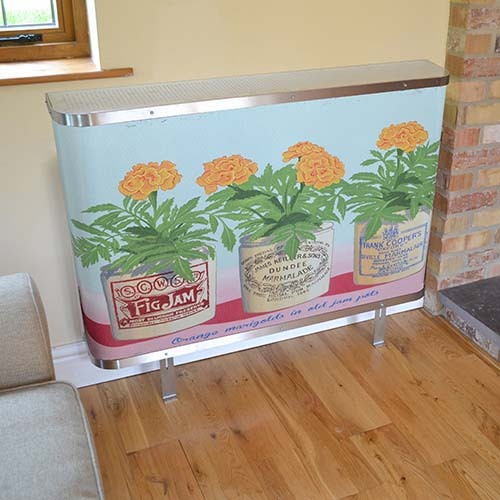 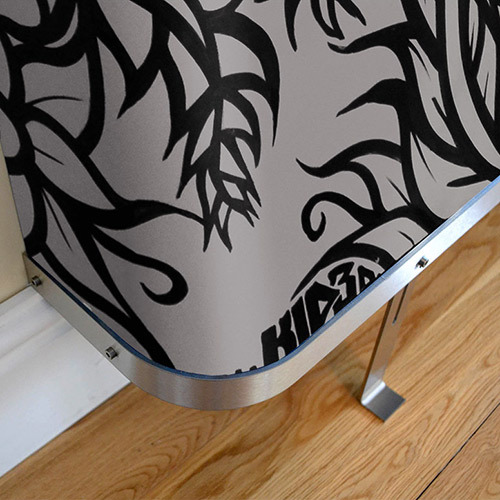 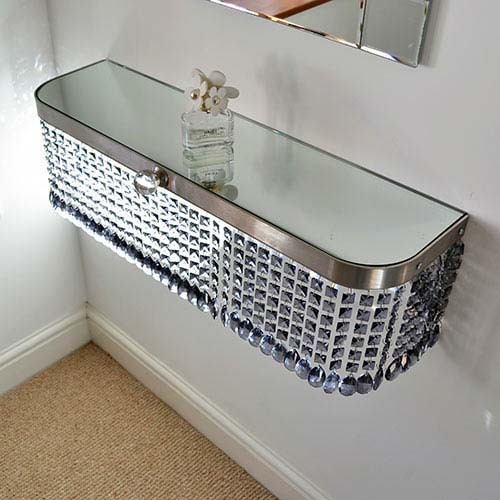 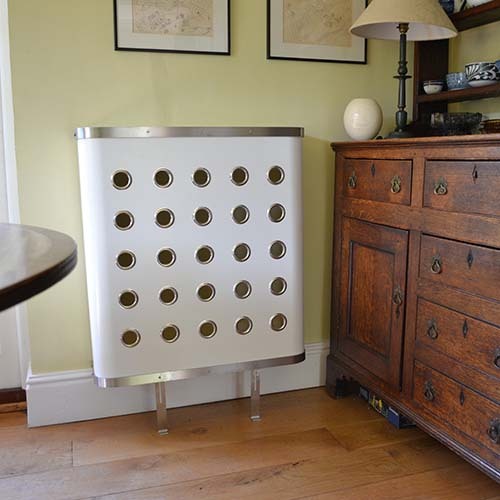 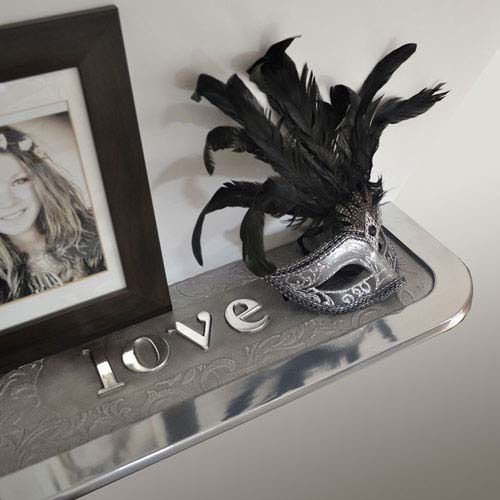 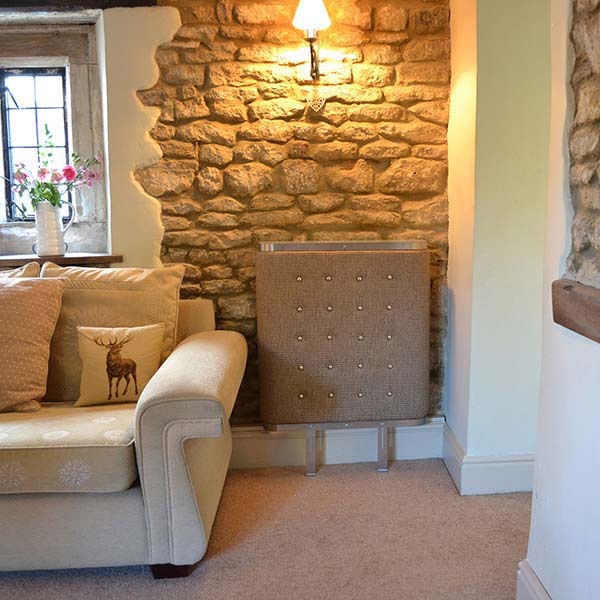 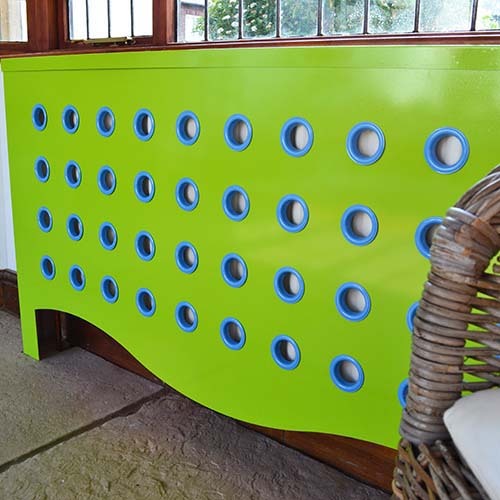 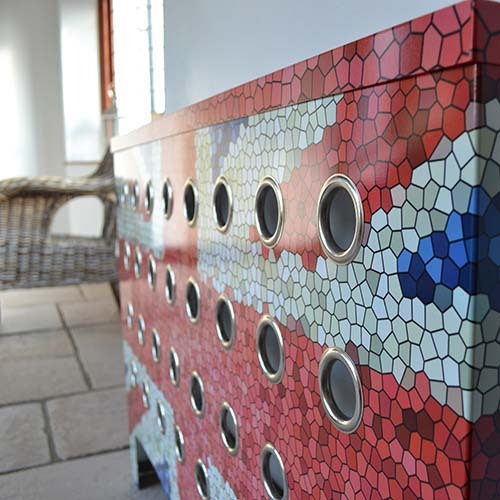 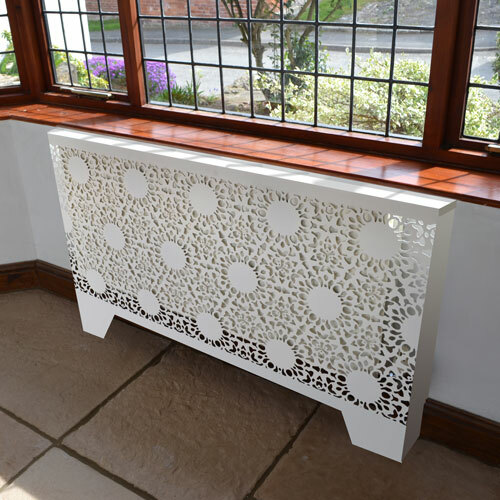 Our CASA Fall laser cut bespoke radiator covers ooze quality from every angle. 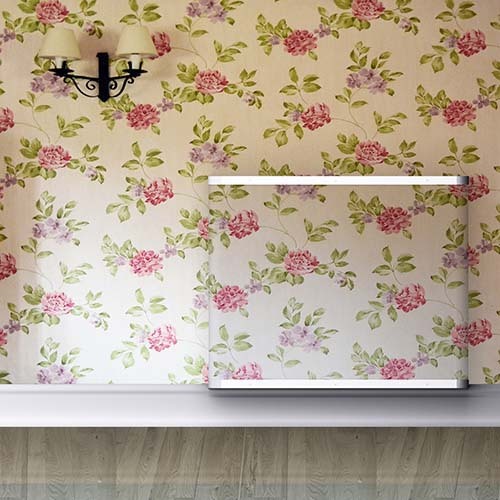 The Fall (or cascading) pattern can be applied to any form or shape, so watch this space for more designs coming soon. 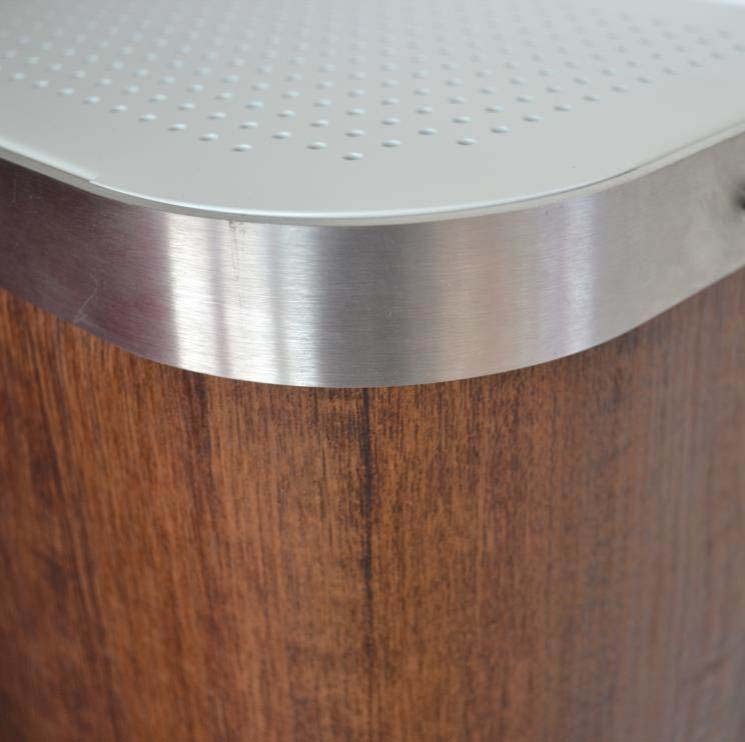 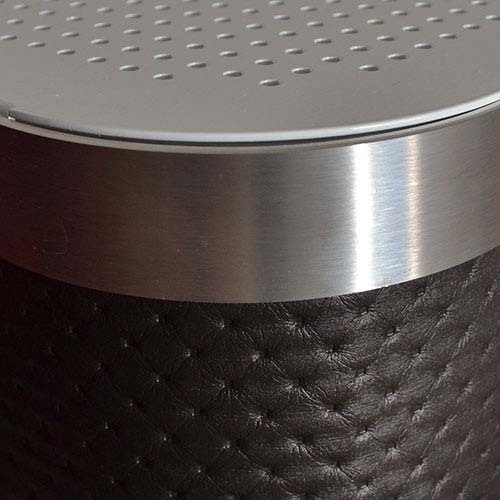 For the tops you can select from a colour matched perforated top, mirror tops, cast aluminium tops in different designs, or granite - again in lots of colours and textures. 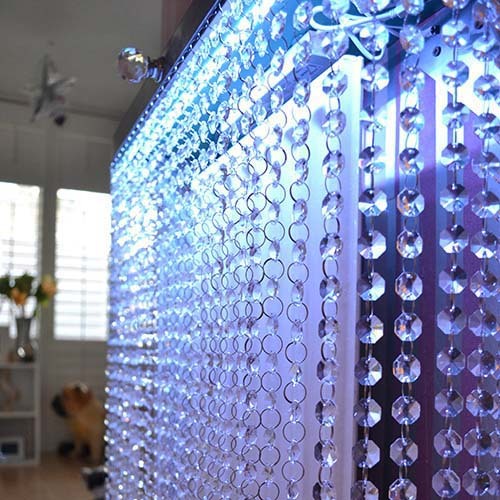 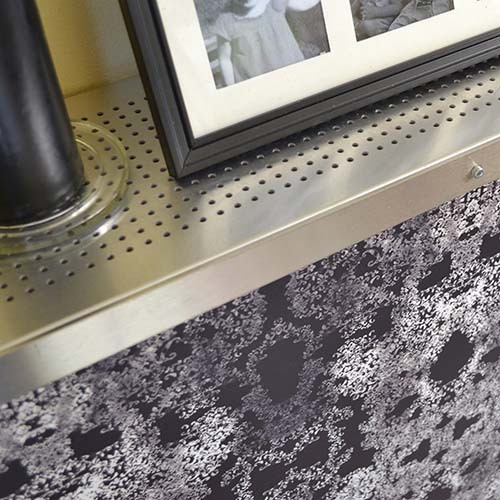 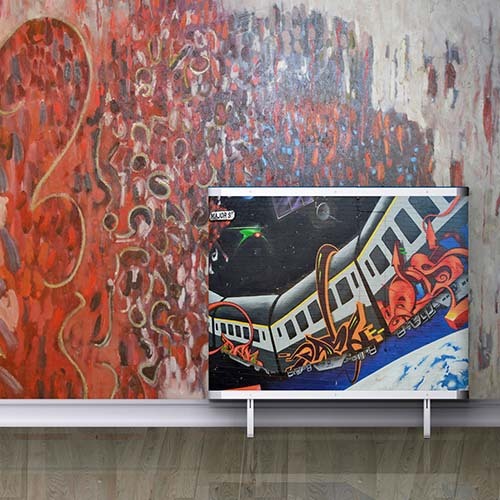 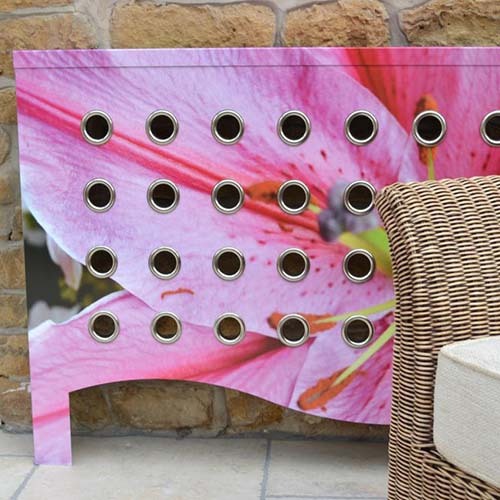 Installed in minutes, these fabulous laser cut radiator covers have amazing heat transfer properties, and combined with great looks offer the best of both worlds. 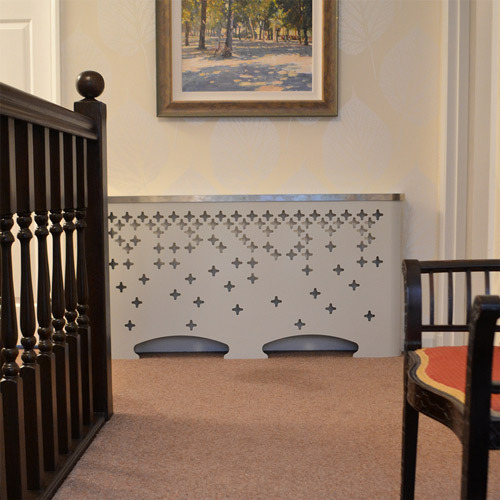 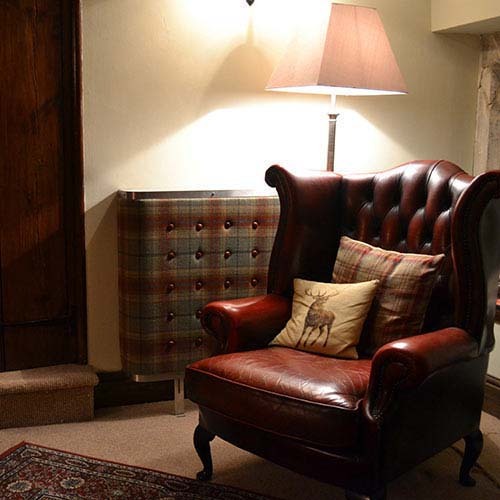 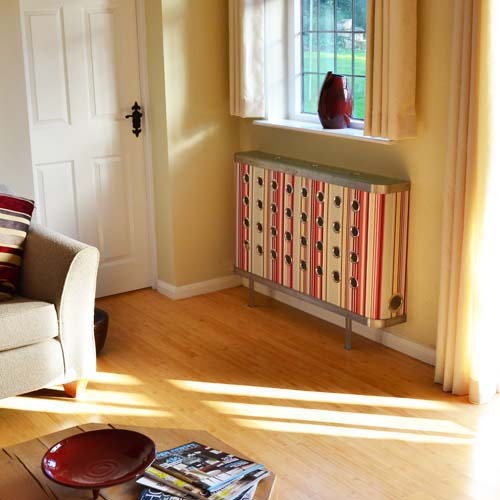 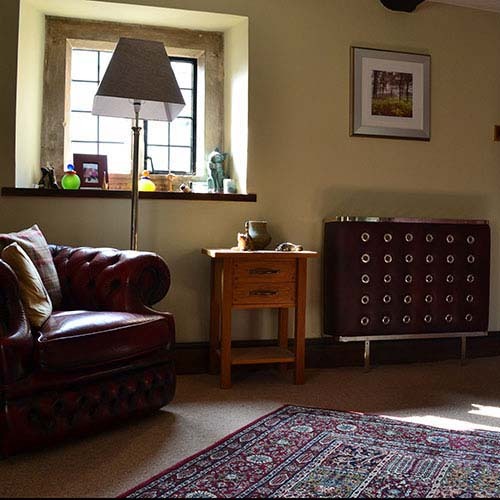 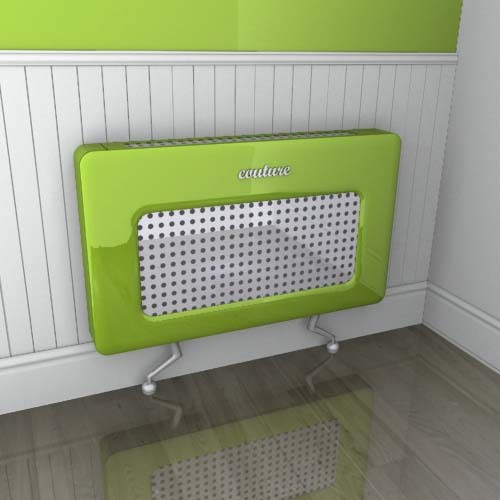 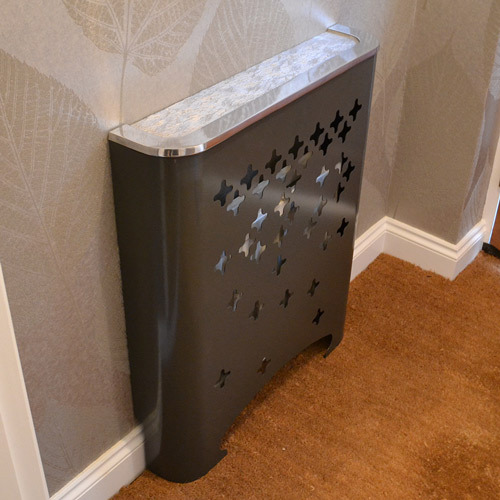 Please note these covers require level floors, and for large radiator covers in some top finishes a very level and flat wall for the radiator cover to fit perfectly. 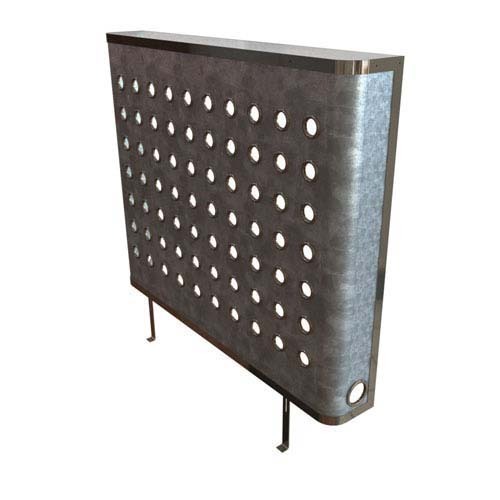 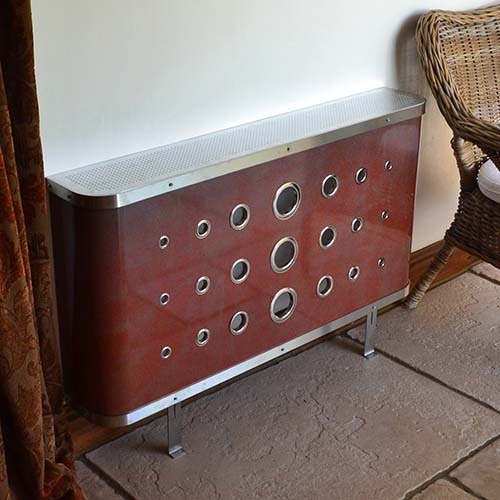 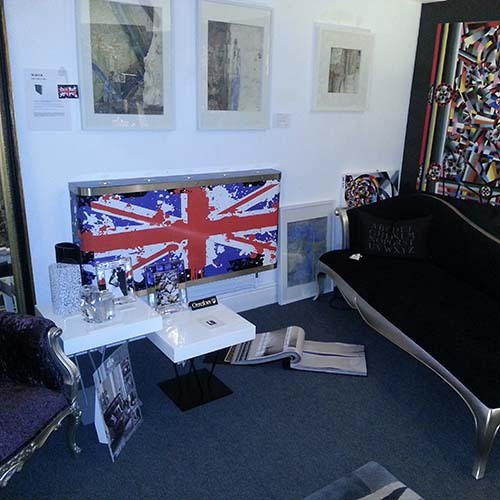 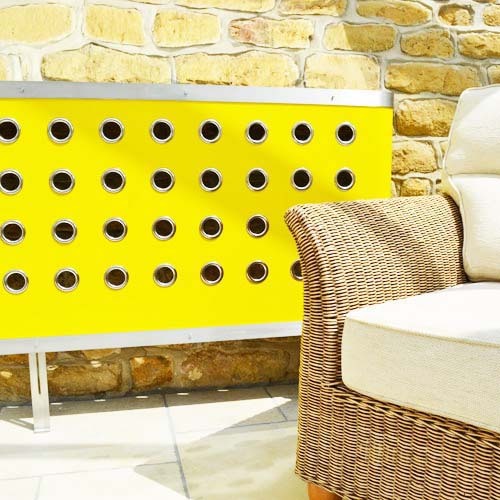 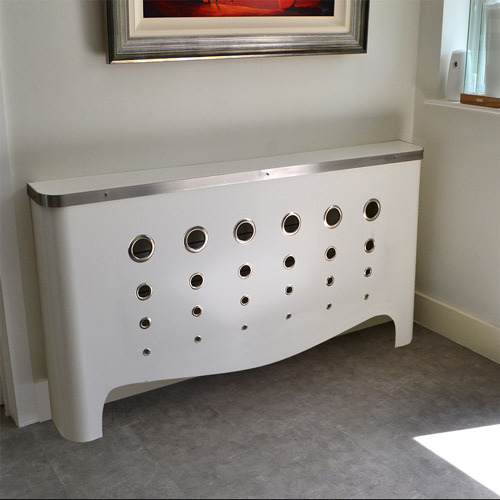 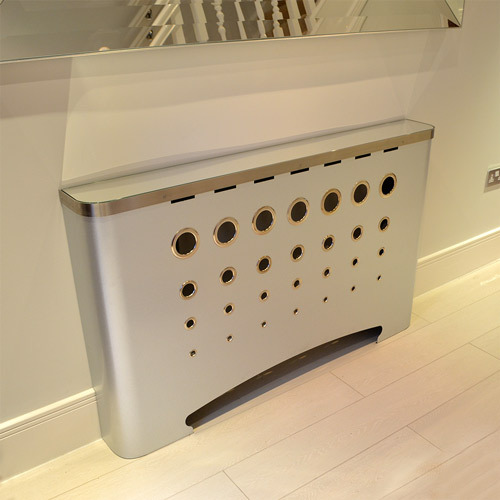 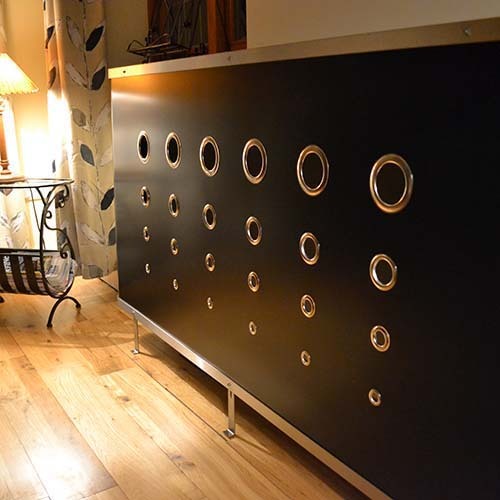 All our CASA Fall laser cut modern radiator covers are made to your EXACT requirements, so please contact the design team with your thoughts and we will be glad to help and provide all necessary guidance and radiator cover options.